Jake “The Snake” Roberts, is an American actor and semiretired professional wrestler. Throughout his career he was known for his intense and cerebral promos, his dark charisma, his extensive use of psychology in his matches and his invention and use of the DDT ﬁnishing move, which was named the “coolest” maneuver of all time by WWE. 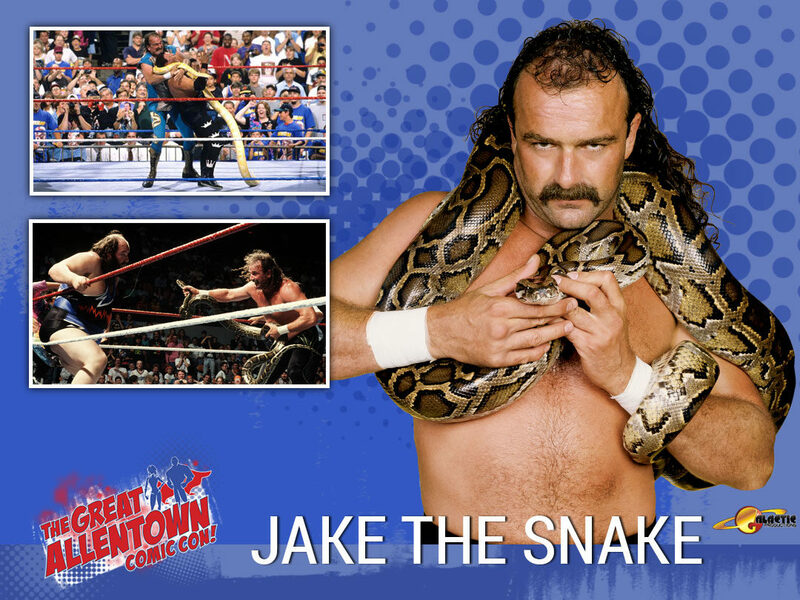 Since being inducted in WWE Hall of Fame in 2014, Jake makes appearances at wrestling shows, comic cons throughout the US and Canada. As of 2015, Jake started his Unspoken Word show, where he tells roadstories and behind the scene at the height of his career. He really enjoys this time in his life to be creative and slow down to meet the fans that made his career so successful.